Perfect for sharing at bedtime and also a great way for children to get to grips with reading themselves as they embark on their own personal reading journey, this massive 50-book collection will quickly become a bookshelf favourite. With gorgeous illustrations and easy-to-follow stories, the books will allow children to gradually take over a greater share of the reading, building their confidence all the time. The stories cover wishes, magic and animals and are sure to be returned to again and again. 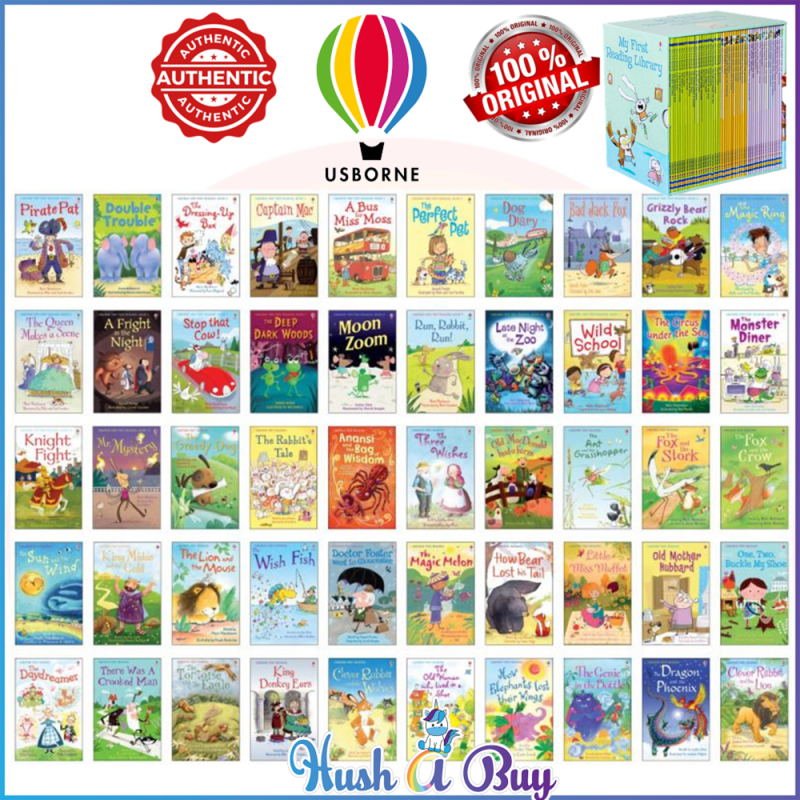 Of the books featured in this collection, 22 are from the Usborne Very First Reading range, which is designed specifically for shared reading, while 12 are from Level One and 16 from Level Two, which are designed for the little one to take over a greater share of the story.